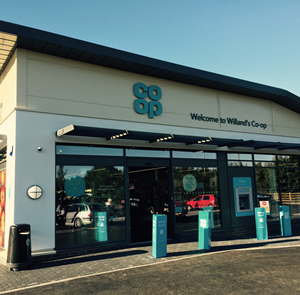 The Co-op is pleased to announce Willand's Co-op Food is now open 7 days a week. Located on the edge of Mid Devon Business Park, your store includes an in-store bakery, wide range of lunchtime options and keen supplies for your evening meal. When you buy selected products and services from us, including our food storesand Co-op Electricals, we put 5% of what you spend into your Co-op Membership account. As a member, when you buy selected Co-op branded products and services, 1% of the money you spend goes to local causes in your community.